The Food and Drug Administration in the USA has initiated proposals to update the nutritional labels on food packaging. 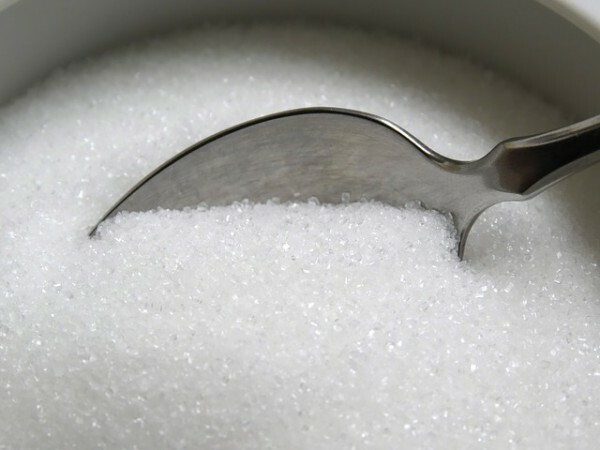 Currently, the labels display the total amount of sugar contained in a product, but the proposals wish to narrow this list of sugars down so that consumers can clearly see which of these sugars are ‘added’ to a product and which are ‘natural’. Added sugars are defined by FDA guidelines as being a sugar or sugar-containing ingredient that is added to the product during processing. Whereas natural sugars are those that are already contained in the food, for instance in fruit. Americans who are motivated to becoming healthier will be delighted by this news, as the label changes will make life easier for them when trying to make wise nutritional decisions. Too much sugar in the diet can cause health problems, such as high blood pressure, diabetes and obesity. The daily American diet typically consists of approximately 16% of added sugar calories. It is recommended that consumers reduce those calories down to just 10% of their total daily intake. Put simply, this means that if an American eats 2,000 calories in a day, then only 10% of these calories should contain added sugar. This is equivalent to just less than one bottle of Coca Cola. The innovative proposals will state the percentage of added sugar calories that they’re consuming by eating a serving of the labelled product, so that consumers can adjust their choices accordingly. By reducing the amount of added sugars we eat in our diet, we also decrease the amount of ‘empty calories’ that we’re consuming and can make room instead for calories that are packed with nutrients. American consumers will also benefit from recent changes to legislation in the form of the Food Labelling Modernisation Act. Labelling will be improved by revising the information to include key words such as ‘natural’ or ‘healthy’ which will make it easier for consumers to make sensible diet selections. They will also find it easier to compare the nutritional benefits of similar products to each other. Over in the UK, we are experiencing a similar drive towards helping consumers to be healthier, but this time the method is a sugar tax. Celebrity chef Jamie Oliver has gathered more than 120,000 signatures on a petition to add a 7p tax on a can of a sugary drink. Jamie Oliver has worked at length to overhaul the previously unhealthy school meals system. His aim with this petition which supports the introduction of a sugar tax is to raise more than £1bn per year which will go towards curing childhood obesity. Parliament will consider all petitions that gain at least 100,000 signatures, so just getting the movement to be heard represents a massive triumph so far. Consumers are becoming accustomed to being armed with relevant information before they purchase a product. Food labels are already extremely useful to those who wish to make healthy decisions. These recent proposals which will enhance food labelling even further are a great way to assist the public in improving their health and lifestyle, which is an incredibly positive movement. Let’s hope these label changes are brought into effect soon and make us all more knowledgeable about the products that we’re consuming. Tammy Wiltshire works for the leading UK label manufacturer, Labelnet. Based in Ongar, Essex, Labelnet design and manufacture high quality branded labels, stickers and packaging. Previous : How To Choose Best Commercial Kitchen Fit Outs To Make A Stylish Kitchen Décor? Next : Airplane With Seats On Top Of The Aircraft, Coming Soon!